Saxony - spring campaign 2017. We have delivered 74.8% conversion rate from a single landing page! Direktpoint is managing the digital marketing campaign for Saxony destination and, following the success of last year's edition, we are taking the same road. Our team is taking care of the spring 2017 digital campaign promoting Saxony land in Poland. We have already achieved the KPI's given just one week after the activation of the campaign! And we're still working to improve the results! Direktpoint has designed, developed and deployed a landing page which allows visitors to order free printed brochures and maps about this destination. We are also responsible for the official Facebook Fanpage, Instagram & SEM ads. After 10 days since we launched the campaign we received 2772 orders for free packages. It counts as a 74.8% conversion rate (3,319 UU visits on the LP after 10 days). We did it with a very little media boost. Saxony is happy with the result, we are proud of this project! Agency: Direktpoint. Visit our site and let's work together on your next project! Scroll down to read more about this project. Full view of a campaing landing page. I was optimized for high conversion rate and mobile view. What is the key to provide such a results? Saxony is great destination to work with and to market. It would not be easy to deliver such a results in financial market campaign. But it's important to focus on the goal - it this case it was the tourist package. Visitor will more likely order the package when all content you present on the site will be connected with conversion. In our scenario we were talking about hiking/cycling/walking paths around Saxony. The free map we are offering to anyone is a active map filled with trails, camps sites etc. So more time you spend on the campaign site - more likely you will like our give away freeware. Beginning of May is a national holidays in Poland. People do travel at that time and they seek for new places to visit. Saxony is not that much discovered yet. All in all - lots of visitors have a 5 days vacation in their heads so they are more interested in travel topics. Landing page/campaign outcome has to offer a real value to the users. 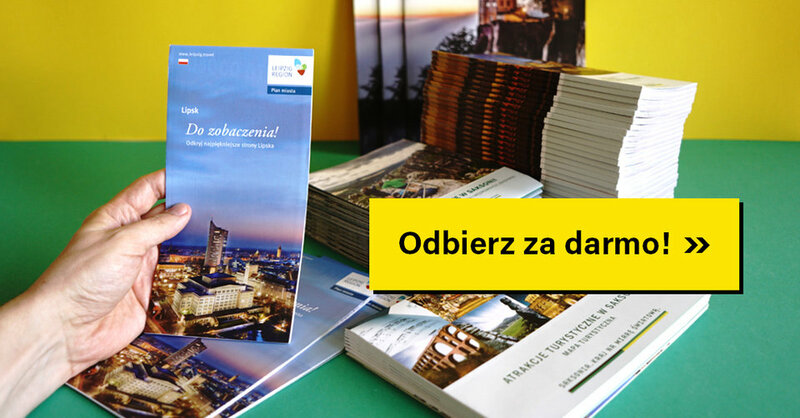 In this campaign we are sending a free printed materials about a destination - they are truly very useful for tourists. Haveing a cool freeware - It's always conversion rate booster. Simplified map with the ideas for the trip to Saxony. The real map - printed version - with best walking and cycling routes was included in th package. Plan your trip to Saxony's christmas markets with a help of dedicated website and mobile app. Saksonia - Majówka 2017. Aż 74,8% konwersji na jednym LP! Direktpoint zarządzał cyfrową kampanią marketingową dla Saksonii i po sukcesie ubiegłorocznej edycji idziemy tą samą drogą. Nagroda - wyjazd VIP na mecz Polska - Kolumbia, trafi w ręce trzech najlepszych inwestorów.